Fill With Hen Party Treats! The Hen Party is nearly here. The activities, restaurants and VIP areas have been booked. Why not give every member of #TeamBride a Hot Pink & White Polka Dot Gift Box to say thank you for attending your last fling before the ring? 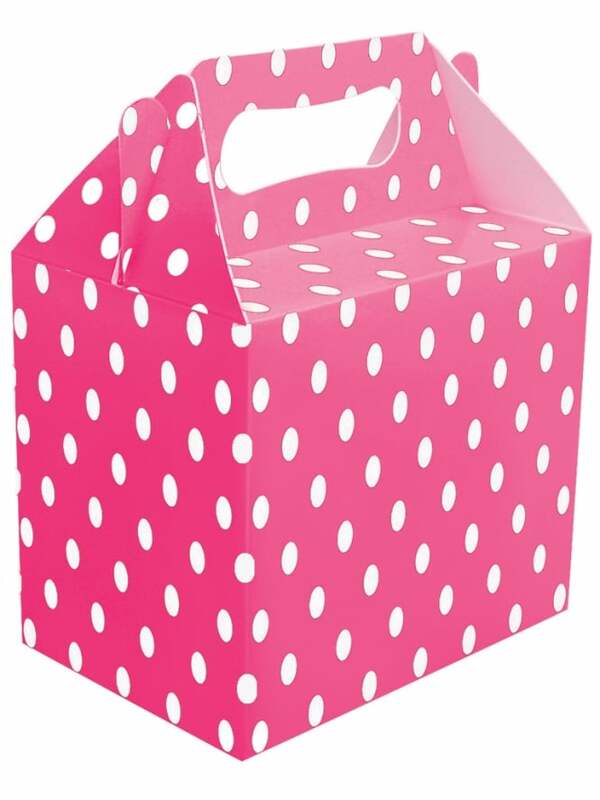 This exquisite gift box is hot pink and features a white polka-dot design. Why not fill one of these goodie boxes full of bachelorette night essentials? Add sweets, a shot glass, UV lipstick, cocktail recipe, dare cards and a personalised T-Shirt to complete your order.